EvaDav is a performance based advertising network specializing in push-notifications and native ads for both publishers and advertisers. With 60+ million subscribers, from many different geos, they are a leading ad network with one of the largest target specific niches in the industry. Even though their primary focus is helping publishers earn more from their website traffic, they offer solutions to both advertisers and publishers within their platform. This is essential in the push-notification industry as many networks may say that they offer this as a service, but lack the cutting edge technologies and client focused service EvaDav provides. Having worked with some of the most successful mobile campaigns to date, from top brands, allowing access to massive scaling and data-driven targeting across in many different verticals. How Do Push Notifications Actually Work? For any of our readers that are asking about what a push notification is, just take a look at your cell phone. These notifications (or alerts) simply show up on your mobile device, tablet, or website browser letting you of a new text message, comment, software updates, promotion, or exclusive limited time offer comment. They come in many different formats including images, videos, gifts, in-app banner, in-app interstitial, sounds, and even more features. These personalizations are very important and one of the many reasons why push notifications can be such an effective marketing channel. Push notifications are becoming one of the most preferred channels of communication and seen as far less intrusive then email or sms. They provide one of the highest click-through-rates for any media and initiate immediate responses. This is why so many of the top brands such as Facebook, AirBnB, Expedia, Starbucks, Ticketmaster, CandyCrush use push notifications to re-engage and trigger immediate actions. For users that have have granted permission to access their locations, you can target based specific areas and time zones. For example have you ever walked by a Starbucks and received a notification for an offer or limited time coupon? Or have you ever received a suggestion based on your past interests like Netflix updating you on a new show? How Can Advertiser Send Out Push Notifications? Create a popular mobile app and website that users subscriber too. For those of us how do not want to spend the time, resources, and money creating a site on our own and looking for immediate results, I suggest using the Push Notification Ad Network EvaDav. With nearly 1+ million new subscribers a week, they have built up a HUGE database of 60+ Million subscribers who have opted in to this service. Many of these users are looking for new promotions, coupons, or exciting new content that you can reach on a Cost-Per-Click Basis. EvaDav is a Push Notification Ad Network whose mission was to unite both publisher and advertising platforms into a single place. Their company is comprised of a group of companies with 11+ years of development and ad tech integration into their advertising products. Their expertise in the advertising markets has enabled them to create cutting-edge solutions focusing on the highest standards of push notification and understanding their traffic sources furthering development to anti-fraud monitoring systems. This transparency and consistent improvements has lead to rapid growth since inception in 2018. 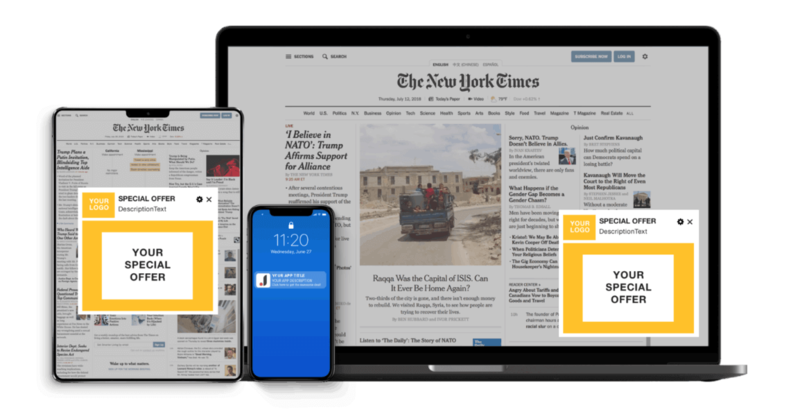 By focusing solely on push notifications and furthering their native ad and popup technologies, offer solutions for both Publishers and Advertisers which we explain below. 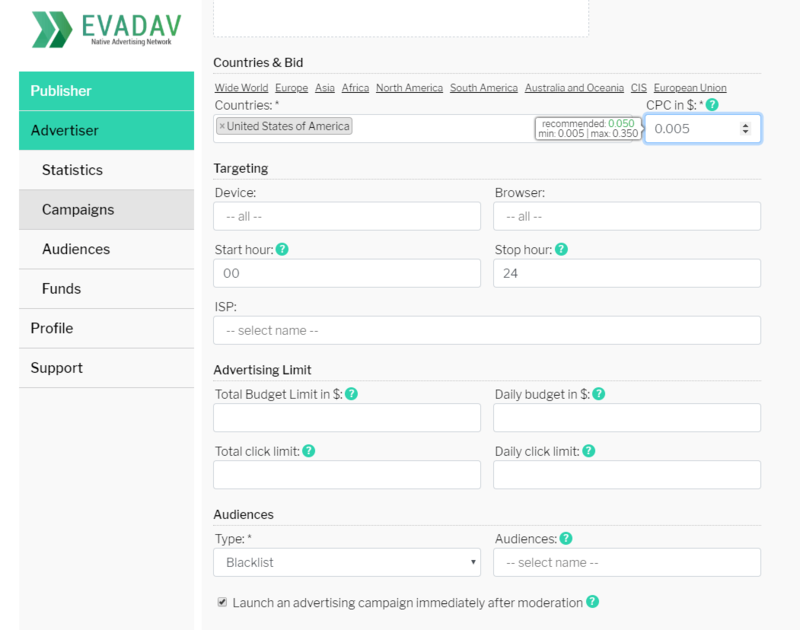 Evadav enables publishers to monetize their websites through both native ads on their websites and push notifications. Visitors that subscribe to receive push-notifications from your website will continually bring your money every time they interact with the push notification ads. As mentioned above, because Push-Notifications have such high engagement and click through rates EvaDav is able to offer some of the highest conversion rates on the market. Here are a few of the popup template widgets in the stream section of the EvaDav dashboard. By offering relevant and appropriate advertising based on the past actions of the user. This is how they always get the highest paying ads on your website by an fully automated system, that finds the best CPM and shows this with open RTB. While setting up your campaigns you have 2 options. Select a CPA (Guaranteed) or use the RevShare. 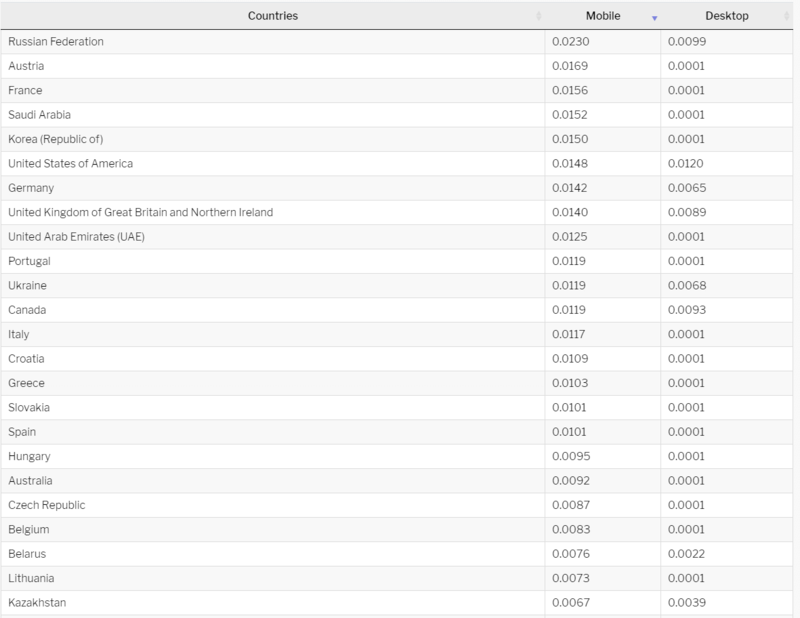 Here are the CPA Rates for publishers below by country and device. The installation and registration is super simple and can be done in just a few moments. Choose from CPM, CPA, or RevShare models. Besides the obvious advantages of high click-through-rate, immediate responses, and high delivery rates with no spam filters, I would have to say I am super excited that EvaDav is a CPA & Affiliate Friendly network. Unlike Facebook or Google, you can promote your gaming, dating, health, forex, content, or gambling downloads and these perform really well. You will need to comply with their Prohibited materials rules (of course) but mostly are around copywriter work, illegal content, or anything around religious or hate messages. But all of this is explained very clearly when setting up your account, and shows you recommended CPC per country and have customize able targeting options. This includes the type of device (apple versus iphones) browsers, ISP, and even more details not shown in this screen shot below. 100% BRAND SAFETY. All of the advertiser’s creatives are monitored with machine-learning algorithms and are checked manually. HIGHEST CR / CTR. By matching the best offers with the relevant audience, boost the efficiency of your ad campaigns. 100% FRAUD SAFETY. Platform’s solution automatically cuts off any bot or suspicious activity, providing only real users and a live audience for your campaigns. PREMIUM INVENTORY. Get access to Premium publishers and the target audience that matches your offers best. HIGH VOLUME. More than 50M push ads are delivered every day for advertising partners, ensuring high ROI. As an affiliate marketer, I have first hand witnessed how effective and engaging push notifications are for advertisers particularly for for CPA and Affiliate offers. EvaDav uses Tier 1 & Tier traffic from top publishers, ad network, exchanges, and continually grow subscriptions with millions of new subscribers every week. Your messages do not get caught in spam filters, lost in emails, and the CTR is more then 4 Times as high as email marketing. Top conversion rates permit the display of ads in the right place, at the right time, and to the right user. However, you cannot expect to make huge profits right away on your campaigns. These do take numerous split testing before scaling a campaign. For publishers it is important to note that because EvaDav is an affiliate and CPA friendly website, if you are not okay with these types of offers it may not be for you. But for those that are, it can provide a far higher paying income stream with residual income without distracting users from your site. Push-Notification marketing is an exciting newer opportunity for both advertisers and publishers. It provides one of the highest conversion and click through rates in the market, and will continue to grow as the future is mobile. For those looking for a Push Notification Ad Network, I have given a very high review in this category to EvaDev because of the quality of their traffic. They provide a proprietary anti-fraud system and effective algorithm for predictive buyer behaviors. For more information on how to get started with EvaDav, you can view www.evadav.com for more information and make sure to watch the video below.